Chronic neck pain in the US is very common, affecting over 15% of both men and women on a persistent basis. In an effort to delineate whether cervical epidural steroid injections were effective in the treatment of chronic neck pain with or without associated arm pain, a multi-center research team evaluated the injections. Chronic neck pain occurs from numerous conditions including arthritis, post auto accident (whiplash) and degeneration of the intervertebral disc. Along with neck pain, individuals may also have pain going down one or both arms due to a disc herniation pushing on a nerve root. 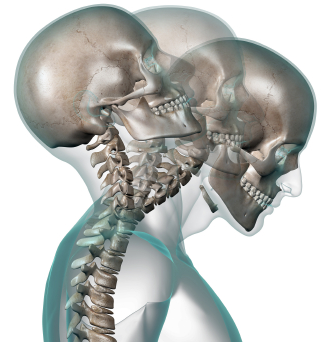 The whiplash usually occurs from a motorcycle or auto accident, and is best treated by an Arizona injury doctor for best results. People may also have arthritis pinching on one or multiple nerve roots, which is termed spinal stenosis. In effect, the arthritis may simply cause neck pain by itself, or there also may be associated arm pain as well. The team evaluating the effect of epidural steroid injections in the neck included researchers from Harvard, Johns Hopkins, University of Louisville, Temple University and more respected practices. The authors looked at over 30 studies, narrowing it down to less than 10 quality studies for evaluation. They looked at return to work, opioid intake, and functional status, with the primary measure being pain reduction. Cervical Epidural Injections work extremely well. from the pinched nerve, results showed significant improvement with less pain and disability along with increased function and return to work. Positive results for the long term (one year) were also seen. In patients who had pain that stayed in the neck, epidural injections were evaluated. The authors picked a study that excluded those with arthritis in the facet joints. The most effective treatment for facet joint arthritis is either a medial branch block or a radiofrequency ablation. So the pain was most likely emanating from inflamed soft tissue, such as the disc. The epidural injections in this study showed significant benefit for pain relief as well as functional status. One of the included studies in the review evaluated cervical epidural injections for spinal stenosis. Positive results were seen for both pain relief and functional improvement. Complications of interlaminar cervical epidural injections were evaluated (not transforaminal), and were predominantly well under 1%. This included transient nerve root irritation in 0.25%, postlumbar puncture headache in 0.08%, bleeding in 0.7%, bruising in 0.3% and a few others. In the study review, the authors noted that usage of fluoroscopy significantly reduced the “miss” rate for epidural injections in the neck. Considering the injections are being placed very close to the spinal cord, making sure fluoroscopy is used to increase accuracy is an excellent idea. 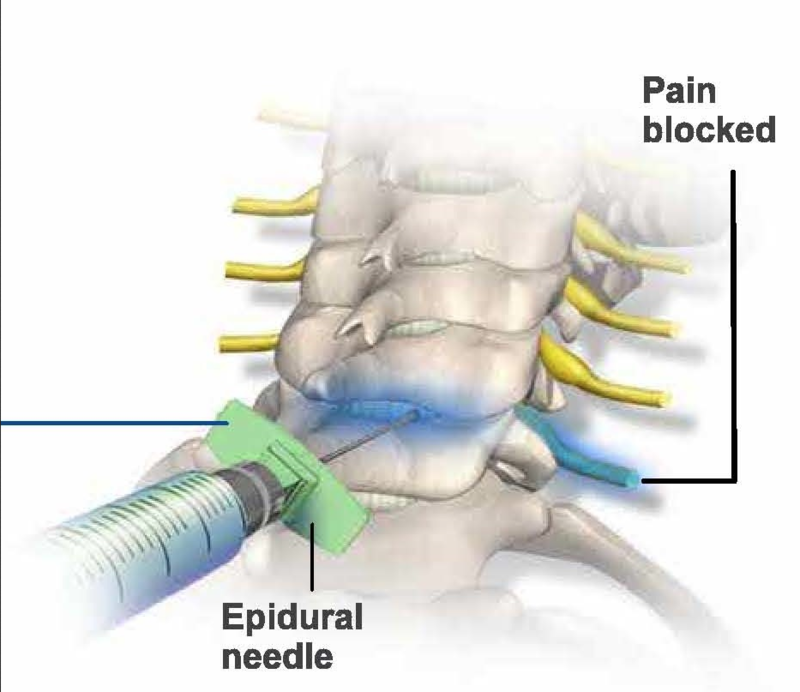 The conclusion of the study authors was that epidural injections in the neck work well for radiculopathy when local anesthetics and steroid medicine are used. For pain coming from the disc and for spinal stenosis, fair evidence was seen for significant results. In actuality, excellent results were seen but because there was only one or two applicable studies they noted it as fair. The bottom line is epidural steroid injections are an excellent nonoperative treatment method for those suffering from radicular pain secondary to a pinched nerve in the neck, spinal stenosis, or neck pain due to a disc problem.